Leading Service Provider of exhibition cargo handling from Mumbai. 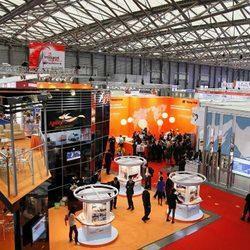 Apple Freightand Logistics LLP providesspecialized services for exhibition and trade fairs cargo. We provides timely delivery of cargo to the exhibition centerand move backthe cargo fromexhibitioncenter to the shipper doors without any hassles. We provide all necessary documentaion refquired for exbithion cargoes. Looking for Exhibition Cargo Handling ?